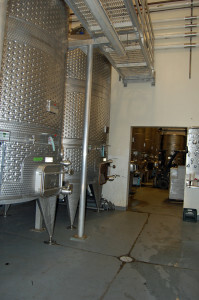 Pumps for beer and wine processing and production from Reliable Equipment Sales operate year after year with virtually zero maintenance. Reliable offers sanitary, food and beverage grade pumps featuring FDA-approved materials to help produce a consistently high quality product for wine, high volume breweries and other beverages. For transfer pumps from fermenting and destemming to racking, filtering and bottling, Reliable offers the ideal pumps for beer, wine and other beverages with heavy-duty motors to handle pulps, slurries and solids without clogging for maximum line uptime. Wilden AODD, FDA-model, air operated pumps, Yamada FDA-compliant, air operated pumps and Flux pumps drum pumps are proven to deliver high performance with low maintenance in sanitary processing. For guidance on how to size a pump, how to select the right pump or how to specify the right pump, call 203-740-1877 or click to chat.